Who would have thought? Poverty is kind of terrible. Chances are the audience already knows this, but Out of the Furnace is going to tell them anyway. Out of the Furnace is the story of Russell Baze (Christian Bale), a steel mill worker in Braddock, PA. Throughout the film, the impoverished Russell experiences one tragedy after another. His father is dying from noxious chemical exposure from the mill. His brother Rodney (Casey Affleck) has a problem with the ponies and an even bigger problem with debt to the local crime lord (Willem Defoe). His girlfriend (Zoe Saldana) has her eye on someone else. A wild hillbilly (Woody Harrelson) occasionally comes to Braddock to stir up trouble, who even the local police (Forest Whitaker) are afraid of. Oh, and Russell has a predilection for drinking and driving too. It's a bleak film, to be sure. There is a time jump early on, and the characters are visibly more weary afterwards. By and large, these characters are well drawn, and the film is solid. But what do the characters learn by the end of the film? What does the audience? I am not sure anyone leaves the Furnace wiser. The tragic characters have no epiphanies and come no closer to self-awareness by the end of the feature. They are caught in the poverty trap and see no hope out of it. The only character who visibly vents his frustration is the brother Rodney. An Iraq War veteran with PTSD, he would rather bare knuckle brawl for money than toil away at the mill. Unfortunately, the veteran angle doesn't really cover any new ground either. That's the biggest problem with Out of the Furnace: it isn't that it is bad, it's really well made in fact, it just doesn't bring anything new to the table. It's similar in some regards to last year's Killing Them Softly, in that it hopes to tell the tale of a damaged, broken America but doesn't quite reach its lofty goals. Drama fans should by all means see Out of the Furnace. The storyline is solid and there are a few scenes of genuine tension. The acting is phenomenal. Out of the Furnace is getting mixed reviews online, and I suspect the film may be held in higher regard in the future. No one will ever leave the theater having had a good time though. 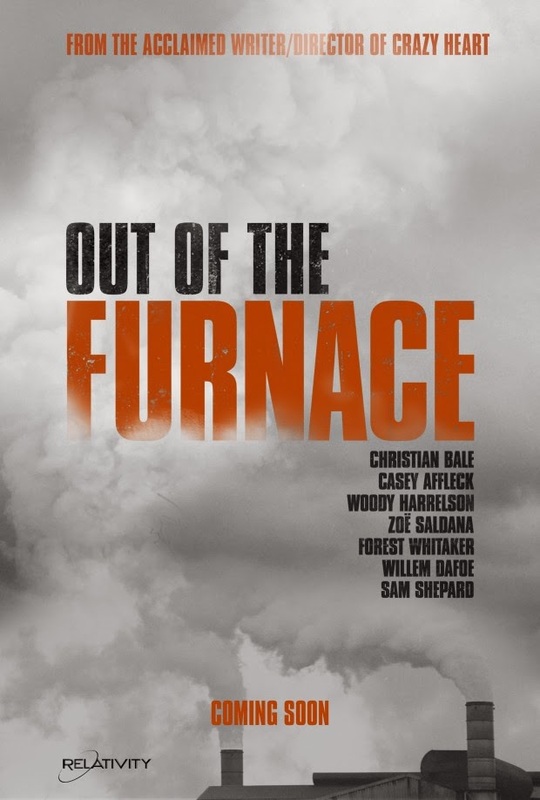 Out out the Furnace was directed by Scott Cooper and written by Cooper and Brad Ingelsby.